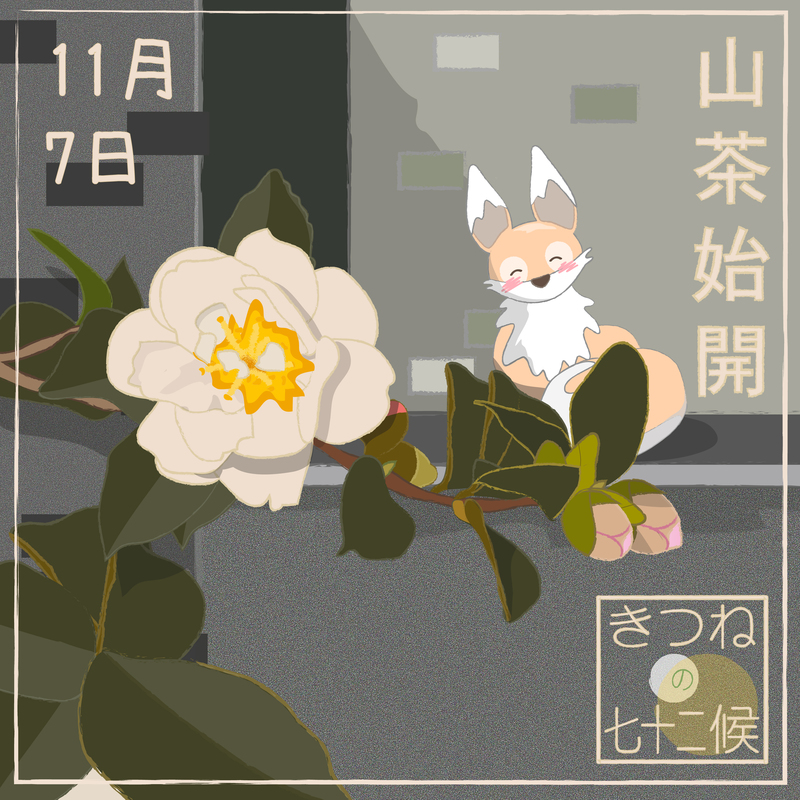 On the 7th November, Kiku read that the seasonal marker for the next five-day period or ‘ko’, read ‘camellia flowers begin to open’ [山茶始開]. He took the almanac to Boss Panda to ask if it was a mistake, as he could remember camellias flowering in late winter or early spring in England, where he was born. He was very fond of winter flowers, and so was excited to find there might be early ones to see. Boss Panda explained that there were several varieties of camellia, which were all in the same family as the tea plant, but that the Sasanqua camellia, known in Japan as ‘sazanka’ [さざんか] flowered early in the season, sometimes as early as October, making for a long flowering season overall when combined with others from the family, such as camellia japonica, which generally flowered from January/ February time. 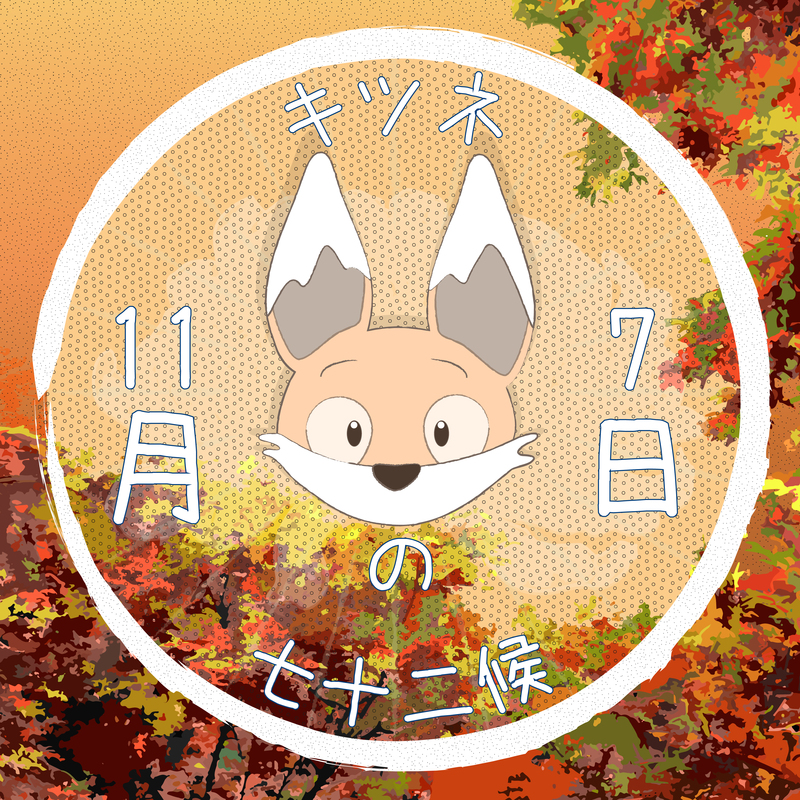 That afternoon, the little fox went for a walk on his own, to enjoy the fresh autumn air and the elegant flowers, which he saw had indeed started to blossom within the streets and alleyways of the city, their dark glossy leaves standing out beautifully against the plaster and concrete. 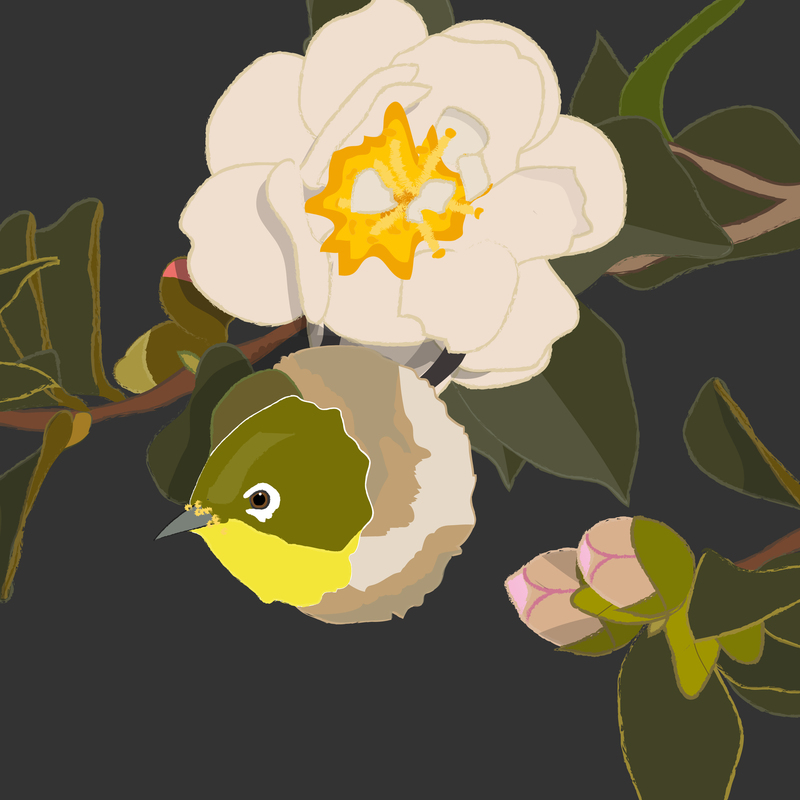 Just before he was about to return to the bathhouse, he heard a rustling from a nearby flowering bush and on closer inspection was delighted to see a Japanese White Eye bird, known as a Mejiro, sipping nectar from one of the flowers…. In a suburb of Tokyo there is a children’s amusement park called Kodomonokuni [こどもの国/ Children’s Land), which opened in 1965 to commemorate the marriage of the crown prince Akihito and Princess Michiko (Emperor and Empress of Japan since 1988). It has a camellia garden in one corner with 7,000 mature trees in 600 varieties, along with 100 sazanka and 50 Chinese camellias. There is also an island two hours south of Tokyo by jet boat called Izu Oshima, famed for its camellia forests. From November to March, much of the island is red from the camellia flowers. To get there, take the Yamanote line from Tokyo station to Shimbashi, and from there the Yurikamome line to Takeshiba. High Speed boats run from Takeshiba to Oshima.